The king has been kidnapped! Long live the king! As the war between your kingdom and a neighboring empire rages on, you've been put in charge of protecting your absent-minded king who has locked himself in his castle. But the enemy has devised a cunning plan to kidnap the king, using hot air balloons! 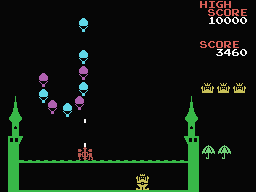 You must strike down the swooping enemy balloons with your arrow catapult to prevent them from landing in the castle's courtyard. Look out for falling projectiles that will disable your catapult on contact, and make it possible for the enemy to fly off with your king! In March 2015, Eduardo Mello contacted me and offered to port any 32K MSX games I wanted, in an effort to raise money for his projects. 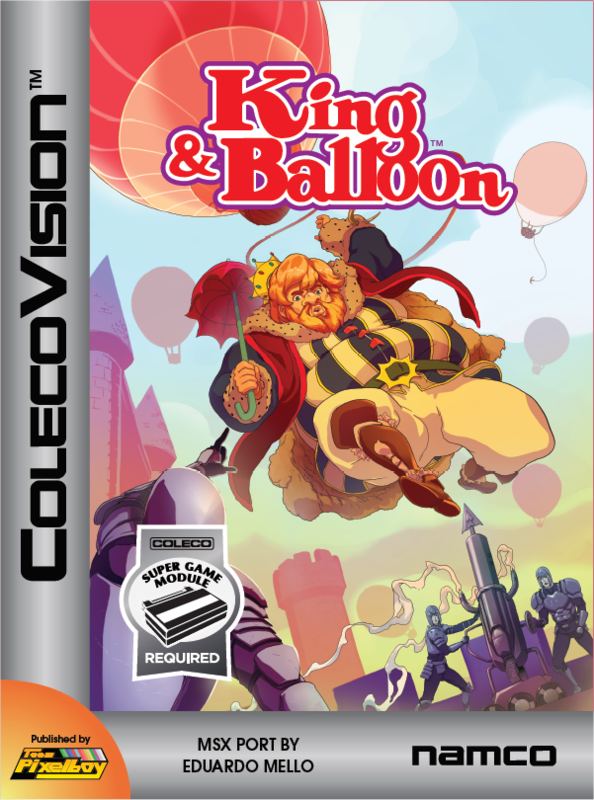 I looked over what was available and I selected several titles, including King & Balloon. 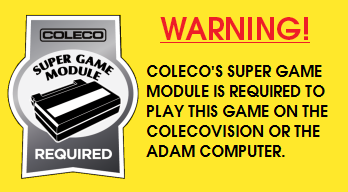 The ColecoVision port was completed in late April. 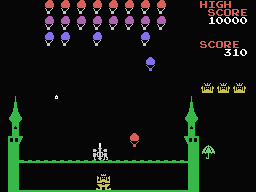 Here is a YouTube video of the MSX version of King & Balloon. The ColecoVision version looks, sounds and plays the same as what you see below. 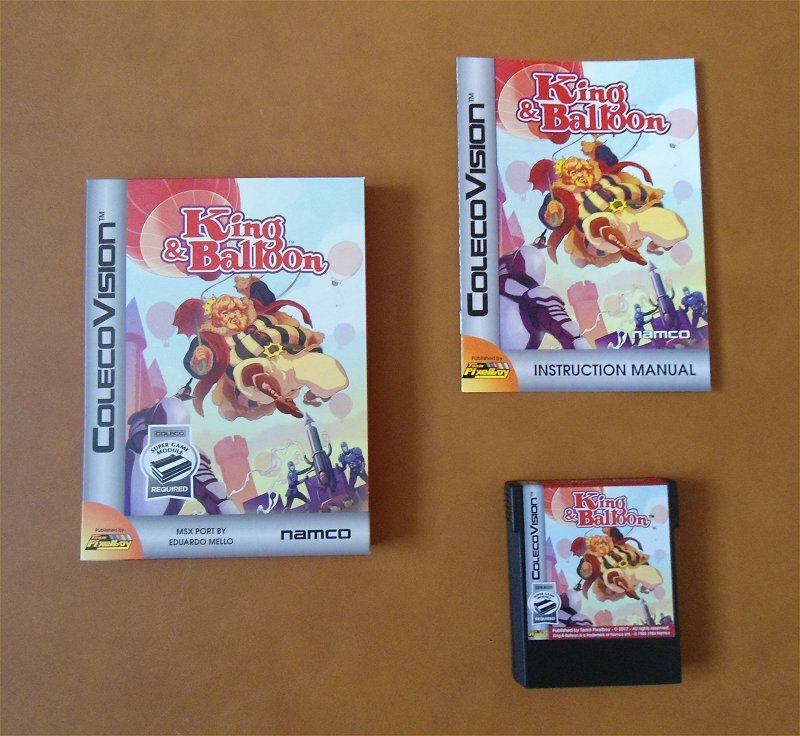 King & Balloon - © 1980 - 1984 Namco Ltd.